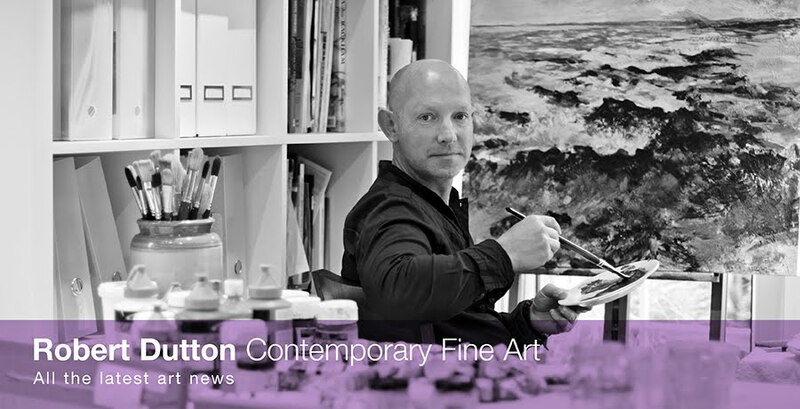 Robert Dutton Artist: Of course you can...with Canson! What a friendly bunch of professional there are surrounding and involved with the Patchings Art Festival at Calverton near Nottingham. 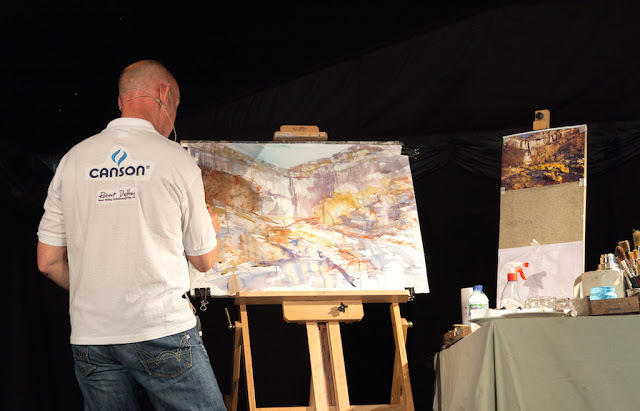 It was an absolute privilege to be demonstrating in the big marquee at Patchings a little earlier this year showing lots of creative techniques that are possible on Canson moulin du Roy 300gsm (140lb) 'not' 100% cotton watercolour paper - a fabulous paper...as you can see especially for my mixed media demonstration painting of Malham Cove in the Yorkshire Dales! Being a cotton and cellulose paper the unique qualities of this paper and many more besides created by Canson are just perfect for artistic expression. 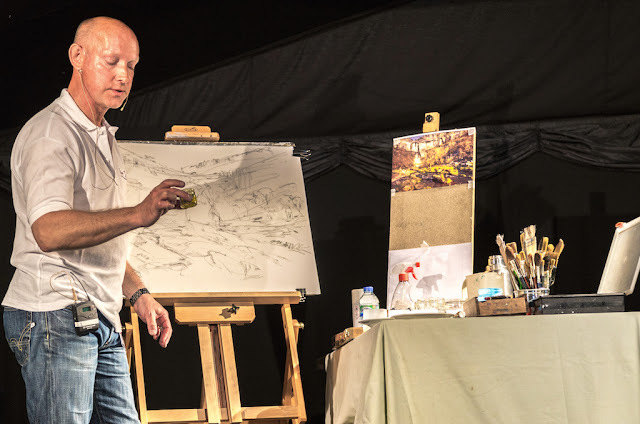 It was a delight to express my artistic direction and share lots of creative techniques with everyone that's for sure! Working with Winsor & Newton Gouache and watercolour, Liquitex Acrylic Inks - letting the creativity just flow! ...adding Unison Soft Pastels...and working quickly with them! Thanks to everyone in the audience who came to watch. It was great to see so many different artistically inspired people filling the marquee to see the demonstration. 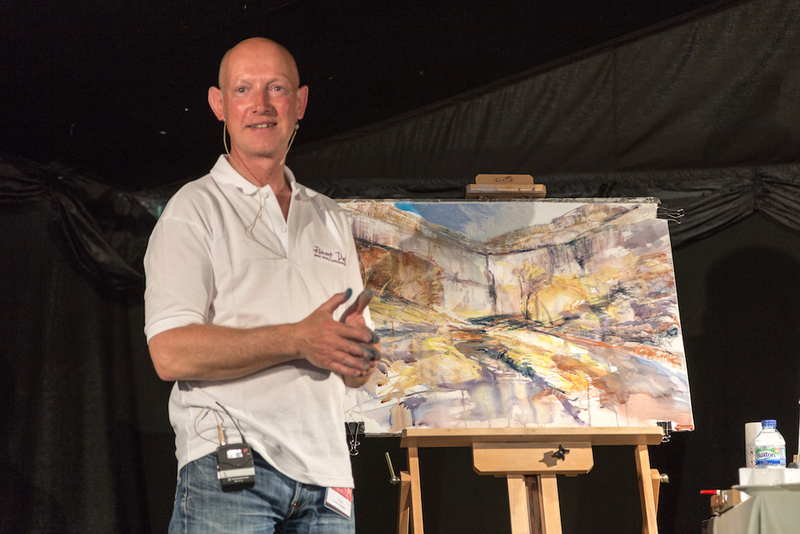 A big thanks to the professional photographers and film crew who set the whole thing up and did a great job keeping up with me between my big broad sweeping brush strokes and splashy paint mixing! 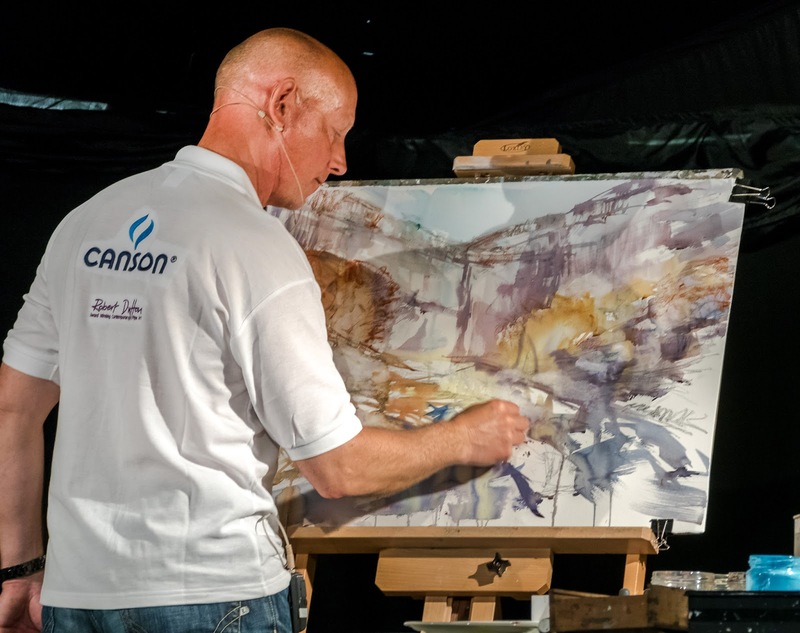 Finally, a big thanks to the organisers of Patchings and to 'The Artist' magazine and Canson team mates - without your support and professional organisation none of this would have been possible - cheers! Roll on the next art festival! That too is going to be a really special one! Places are filling fast on all the art holidays as art students are planning ahead again for their exciting and rewarding art experiences with me so I'd be a bit quick of the mark to book your place!